The Matheny Manifesto: A Young Manager’s Old School Views on Success in Sports and Life by Mike Matheny with Jerry Jenkins (New York: Crown Archetype, 2015). After his major league career as a catcher, Mike Matheny was asked to coach youth baseball. He wrote a five-page letter explaining to parents when he expected from them and the players if he accepted. The youth would be taught to play the game right and with respect and class. Emphasis would be on character rather than winning. The parents were to agree not to coach from the stands or yell at the players or the umpires. The letter went viral and became known as the Matheny Manifesto. Matheny saw the problem in youth sports was parents and coaches who made the game more about their ego than about the players learning to play the game the right way. Parents signed on to this approach that emphasized service, teamwork, discipline, excellence, responsibility, and leadership with biblical truth as the moral compass. Matheny admired and was influenced by John Wooden and his principles for coaching and life. Matheny lists and explains eight keys to success. These principles proved successful in youth baseball, and they are proving successful in the major leagues as Matheny is now in his fourth year as coach of the St. Louis Cardinals. Mike Matheny has earned the respect and trust of those who know him. In his life and managing, he is consistent with his principles. He does not let his fierce competitive spirit deter him from respecting the game and playing the game right way and with class. The book blends biography and coaching philosophy. He illustrates his approach to the game with experiences from his life and others who have influenced him. Many will benefit from reading this book: coaches, parents, players, and anyone who wants to be a success in life. In his original letter to parents, Matheny clearly states the role Christianity plays in his life. “My Christian faith guides my life, and while I have never been one to force it down someone’s throat, I also think it’s cowardly and hypocritical to shy away from what I believe. . . . when the opportunity presents itself, I will be honest about what I believe.” (p. 14-15). Rob Rains, Intentional Walk: An Inside Look at the Faith that Drives the St. Louis Cardinals (Nashville: Thomas Nelson, 2013). Intentional Walk describes the role of the Christian faith in the lives of several Cardinal players and staff members. The book covers the Cardinals through the 2012 season, Mike Matheny’s first year as manager. 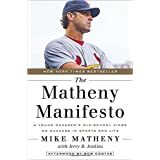 The Prologue gives insight into Matheny’s philosophy of managing by quoting a letter to wrote to parents of a little league team he coached. Each chapter is devoted to a person showing how his faith has influenced his baseball life and personal life. Current Cardinals profiled include Adam Wainwright, Matt Carpenter, Kolten Wong, Trevor Rosenthal, Jason Motte, and Matt Holliday. Chapters cover Manager Mike Matheny, Announcer Rick Horton, and Equipment Manager Rip Rowan. 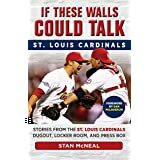 Chapters also cover persons no longer with the Cardinals including David Freese, Lance Berkman, Barret Browning, Kyle McClellan, Mitchell Boggs, Jake Westbrook, and Carlos Bertran. Chapel, Bible studies, and discussions about eternal matters occur regularly with the Cardinals. The commitment to Christ surpasses the commitment to baseball for these men. Their Christianity does not make them weak or uncompetitive. It makes them committed to excellence and doing their best as players. Their faith enables them to cope with victories and successes as well as with failures, losses, injuries, and disappointments. The players make clear in their testimonies that, though they have a special fellowship with other Christians, they respect players who do not share their faith. Matheny said, “I don’t want to be anybody’s excuse to not find Christ.” He told his players of his commitment to Christ but he assured them he would never force his faith on others. He stated that he wanted to manage the team in a way that glorifies God. The 204-page book inspires as the reader sees how these prominent sports figures seek to live their Christian faith as baseball players and in everyday life.